As we bid farewell to 2013, we were hoping that 2014 would be a better year for all of us. But, it got worse towards the end of 2014 when this time, Mr Dad got extremely ill. Well, we don’t notice it but time flies and we didn’t even get a chance to say goodbye to 2014 and we had to welcome 2015 in sorrow. We kicked off the year of 2015 with a big turn in our life. We had to leave the house we called ‘home’ for more than 10 years! That means that I too had to leave all of my beloved friends and school behind. Just imagine a new house, new neighbourhood, new environment, new school, new friends, new teachers and new everything! But, that’s life! It needs a lot of sacrifices! Like how Mrs Mom sacrificed her job and all those sacrifices Mr Dad made for all of us, the same way, I had to sacrifice my friends and school. Although 2015 didn’t start very well, things have finally caught up. We might not always know what God has in store for us! One thing for sure is that He always rewards you when you are patient! For my family, the greatest highlight of 2014 would definitely be the new addition to our family which was the arrival of Little Miss Diva! Then, we were blessed once again by the latest addition in our family, the arrival of Baby A in 2015! No matter how big the obstacles we had to face were, God never failed to treat us, just like how He sent Little Miss Diva and Baby A into our lives! Life is like a wheel, sometimes you’re up and sometimes you’re down! You can dream big but never put your expectations too high! Sometimes in life, you do need to sacrifice something for the sake of your family! No matter what, as long as we stick together as a family, nothing can ever bring us down! We should never feel hopeless because difficult times always lead to better days. EVERY CLOUD HAS A SILVER LINING! Today, I am glad that Mrs Mom decided to leave her job because it surely paid off. With her experience and expertise, she has opened up a lot of new doors for me! We definitely make a good team because when we put our heads together, we could definitely rock the world! 😀 I’m also glad that we’ve all supported Mr Dad’s decision of moving to a new place because it has brought us more opportunities and it’s just getting better and better. Last but not least, my sacrificed has also turned out to be fruitful because I am enjoying my new school and it has been pretty remarkable so far packed with excellent achievements! It seems like God has planned everything perfectly for all of us!! As I’m writing, it’s exactly 10 more minutes till I have to wave goodbye to 2015 and say hello to 2016! Thank you 2015 for all the challenges that have made me grow wiser. I am looking forward to face 2016! Maybe it might be a year filled with brilliant surprises! Who knows? We’ll just have to wait and see… Thank you to all my family and friends that have helped make my life worth living!! 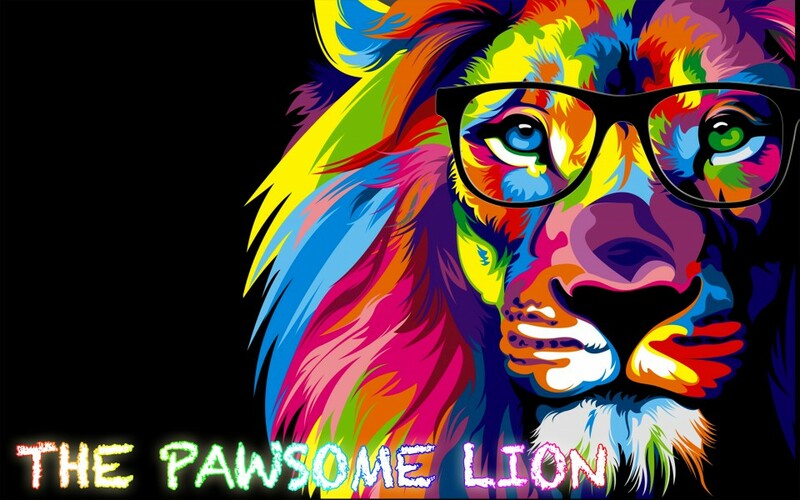 Without all of you, I wouldn’t be The Pawsome Lion!!! p/s: Happy New Year 2016!